Of all the friendly matches Gor Mahia has played during this off season, the match against El Merreikh offered the sternest test yet. This after all is a team that has a budget that makes the top Kenyan teams look village teams. A team known to pay their top players such as Steven Worgu up to $ 1million. A team that on the past two occasions has shredded Gor Mahia to ribbons. Most notably in 2007 when they beat an inexperienced schoolboy laden Kogalo team 5-0. So despite the fact that they were missing several of their players currently playing in the Africa nations cup, this was bound to be a serious test for Gor Mahia. In the first half, Merreikh were clearly the better side. It came as no surprise therefore when Nigerian Kelechi Osunwa gave them the lead after 15 minutes. It would have been much worse had Jerim Onyango not been in fine form. The second half saw Kogalo up their game. The introduction of Moses Odhiambo brought some pep to the Gor Mahia attack. He was sheer class as was Collins Okoth “Gattuso”. 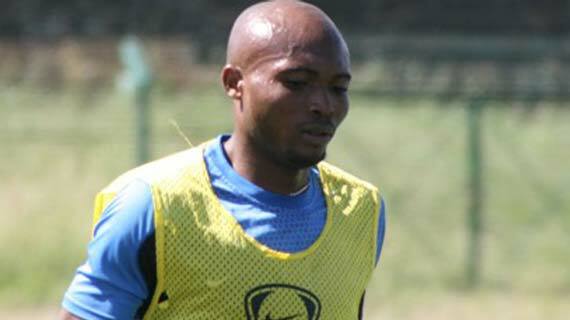 Camerounais Baldwin Ngwa seems to have picked up where he left off. He is still as hardworking as he was before except he seems to have added plenty of muscle. He will be a handful for defenders in the coming year. It was his clinical finish from a Moses Odhiambo cross that saved Kogalo from imminent defeat. His second goal in as many games. Anticipating Kogalo fans however did not see some of the players they wanted to assess the most, notably Anthony Otieno who has recently been cleared by Mathare United and Felix Nwosu. Also missing was Hugo Nzoka who has yet to be released by SoNy. All in all it was a decent outing for Kogalo. However they still have plenty of work to do especially in the final third of the field. This is the last friendly match Kogalo will play this off season. The next game is the Super Cup match against Tusker. Gor Mahia were held to 1-1 draw by Al-Merreikh of Sudan, in their Sunday 29 January exhibition match, played at the Nyayo Stadium. The Sudanese went up, early in the game through a ninth minute Faisal Aghab strike. Gor retaliated with threatening attacks through Ivan Anguyo and Rama Salim, but their efforts amounted to squandered chances. Coming into the second half, Gor Mahia went all out, keen not to disappoint the large number of fans that had turned out to offer support. Their efforts were rewarded in the 88th minute through Baldwin Ngwa, who played well with a Moses Odhiambo cross. Gor Keeper Jerim Onyango was arguably the man of the match, coming through to save shot after shot by the advancing Merreikh strikers. After a few days of heated talk on the future of new Gor Mahia acquisition Felix Nwosu, Gor Mahia secretary General George Bwana has come out to clear the air saying that they will not be expelling the Nigerian centre back but will deal with the matter “Internally”. Felixinho had not been in training with K’ogalo for the better part of the week after the team manager instructed him not to appear in training. He had been accused of gross indiscipline by the club and Bwana says that due to the 1 year contract the player signed, they would not be making a rushed decision of sending him away. “The coach and the technical bench were of the opinion that the player lacks discipline and they had disagreements with him on the pitch. As the management we have met the technical bench, they have explained to us about the issue and we have agreed to deal with it internally”, Said Bwana. “This is a concern but we are capable of handling the matter internally. We also call on players to ensure they respect team discipline because it is too early to start roughing up each other with issues that may affect the performance of the team”, he adds. According to Nwosu, the issue was a facebook update and not more than that. “I respect them and I do whatever I am told to do on the pitch. The issue was only a status update on facebook, but I am sorry if it rubbed anyone the wrong way. It is a misunderstanding and I hope it will not occur again”, he said. Stories emanating from the Gor Mahia camp appear to indicate that Nigerian import Felix Nwosu has been sidelined. Team management is yet to clarify the situation. The move is seen as a big blow to many fans who were impressed by Nwosu’s passion. He apparently watched Gor Mahia play on Supersport and was so impressed that he made the trip to Kenya all the way from Enugu in Eastern Nigeria to come and join the club. A story which endeared him to Kogalo fans. However stories abound that coach Awono is hesitant to sign the player whom he says has issues with discipline. Also that it is pointless to sign an average foreign player. Others will counter that determination and passion for the club which Nwosu has shown in abundance should count for something. Gor Mahia’s coach Awuono Anaba will not carry along any sacred cows in his squad now that he seeks to end K’Ogalo’s 16-year long wait for a Kenyan Premier League (KPL) title. Anaba, a Cameroonian, eyes to grab the silverware this season and has urged passionate fans to be patient with the team and keep on supporting them both in victory or defeat. Gor has made heavy recruitment ahead of the season kick off early next month and Anaba will be spoilt for choice no that he has more than two players in every department. But he was quick to caution the players that only merit and performance on the pitch will influence his team selection. From the goal post to the striking position, stiff competition is guaranteed for a first team place and some of the renowned players in Gor’s line-up will have to prove their mettle or be lucky to make the substitute bench. “No player is guaranteed of a first team in Gor next season. Everyone will have to work hard to earn a place in the team and I will be using merit to name squads for each match from the start of the season to the end. “I will be naming my team for a weekend match after gauging the players in training during the week, so they will have to compete,” said Awono. Awono admitted that it was long since the 12 times local champions last won the league trophy but refused to commit himself on breaking the jinx for K’Ogalo noting that they would try and improve on last season’s performance having finished fourth. “I cannot promise the league title for Gor fans, but we must try and improve on last year’s results. I know the pressure will be high from the fans, but I would like to urge them to be patient with the team and understand that in football there is always winning and losing. “Our opponents also want to win and they always play even stronger against Gor, so fans should be patient with the team and wait for overall results at the end of the season,” said Awono. The coach has had stints with a number of Cameroon sides including Bambutos as well as having a coaching stint in South Asia. Awono said he is not a fan of the rotational policy and insisted he will use his best squad in every match as he eyes a treble. “We will be featuring in the continental championships, Top Eight competition, Cup competition and the KPL, but I don’t believe on the rotational policy. I will go for my best team in each match,” said the Cameroonian. Gor has signed Ivo Mapunda, Wyclif Kasaya, David Owino, Yusuf Juma, Rama Salim, Ibrahim Kitawi, Victor Ali, George Midenyo, Baldwin Ngwa and Hugo Nzoka. But it also allowed Tony Onyango, Erick Masika, Ezekiel Odera, Haji Mwachoki, Dennis Okoth, Wycliffe Opondo, Ronnie Kagunzi and Graduce Ochieng to leave. Tickets for the Gor Mahia-El-Mereikh friendly clash will be sold starting Friday afternoon, 27 January 2012. Gor will host the Sudanese outfit, currently in residential training in the country, at the Nyayo National Stadium on Sunday 29 January. For a chance to see K’ogalo take on the mighty Sudanese outfit, one will have to part with Ksh 500 for the VIP section and Ksh 200 for the alternative terraces. The tickets will be sold at the usual Ticket Masters outlets at Kenya Cinema, 20th Century, Nyayo Stadium and City Stadium. Gor Mahia Assistant Secretary General Ronald Ngala has urged the club’s supporters to turn up in large numbers to support the team. -We have tried our level best to ensure the tickets are sold at an affordable price and so we hope that the fans will come out and support the team as they always do, he told Futaa.com. Gor will use the match, which kicks off at 1600 Hrs local time, as preparation for their upcoming CAF Confederations Cup challenge. In their bid to raise as much as they can to ensure comfortable participation in the CAF Confederations cup, Gor Mahia have been organising events to ensure they realize the Kshs 60 million target and the latest move is to open a mobile account. According to the club’s Secretary General Mr. George Bwana, the move is in line to ensure even the far-flung fans of the team are given a chance to make their input in the team’s development. Speaking to futaa.com, Mr. Bwana assured that the club is in the final stages of getting the Mpesa account through which the fans can contribute to the team’s financial well being and gave it up to the end of this week. -The process of acquiring the Mpesa account is a bit tedious but according to our programme, we intend to finalise everything in the course of this week, though that also depends on how fast things will be handled by the service providers. -We are currently working on the registration and as it is the entire documentation is not a very simple process, he said. The club is also scheduled to hold a fundraiser at the Nairobi City Stadium on Friday 3 February and Mr. Bwana has already confirmed that the Nairobi Mayor Mr. George Aladwa will be the chief guest. Fresh Gor Mahia signing from Tusker George Midenyo is content with his progress at the club and is ready for next season. The prolific striker formerly with Tusker FC revealed that the club has offered the right environment for his career development and is sure that will be achieved in the near future. 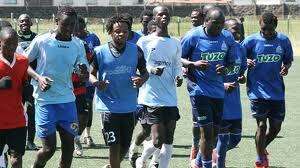 -Every team has its style of play and equally Gor Mahia has theirs. That is what I am adapting to at the moment. -I am taking the challenge positively so that I can get the best out of it for batter days to come. Midenyo top scored for current Kenyan Premier League champions Tusker last season before crossing over during the current transfer window. After a series of build up matches in preparation for the coming season, which many have conceded will be hectic, Gor Mahia’s Congolese born striker Hugo Nzangu believes the team has started gelling well and likes the coordination. The burly striker feels the team’s opponents in the coming days are in for a torrid time because the players have formed a playing unit whose capability will be difficult to overcome. Speaking to futaa.com he also confirmed that the Murang’a Combined game was beneficial not just because they won but also that it gave the team an opportunity to enhance their fitness in preparation for the coming season. -All the friendlies we have been playing have so far been beneficial; we have been trying different formations in order to get the right combinations and at the moment I feel there is some sort of important cohesion among the players. -The team is in confident mood especially after the Muranga game and with this form we should do away with our opponents easily in the coming season, he said. Hugo joined Gor Mahia from SoNy Sugar, where he played last season, emerging second among the country’s best scorers with eleven goals to his name which led to his recognition at the Footballer of the Year Awards last year.